— And I like the image on the cover; it reminded me of the 4 times that God Himself writes in the Bible: 1) On the Tablets for Moses 2) On the Wall for Daniel 3) On our Hearts and 4) in the Dirt during the Adultresses’ accusation. I suppose a case could be made that each time He has written in stone! When I saw the date 30 A.D., I immediately thought of this website. You’re in our Authortracker now – we hope to see you promoting the Book down here in Texas. I am very excited about your book. I can’t wait to order it. I pray that God will use this to teach many people like myself. I’m also glad to hear that you will be blogging again! The word “rabbi” comes from Hebrew, and literally means “my master.” (“Rav” means master, and the “i” suffix denotes first person possessive) Before the first century, the term was used as an honorific way to address a learned teacher, like saying “Father” to a priest or “your Honor” to a judge. After 70 AD, “rabbi” became the title for someone who had been ordained. The title became a noun in its own right, like how we speak of a “reverend” as a pastor, instead of using it as an honorific way of addressing a pastor. 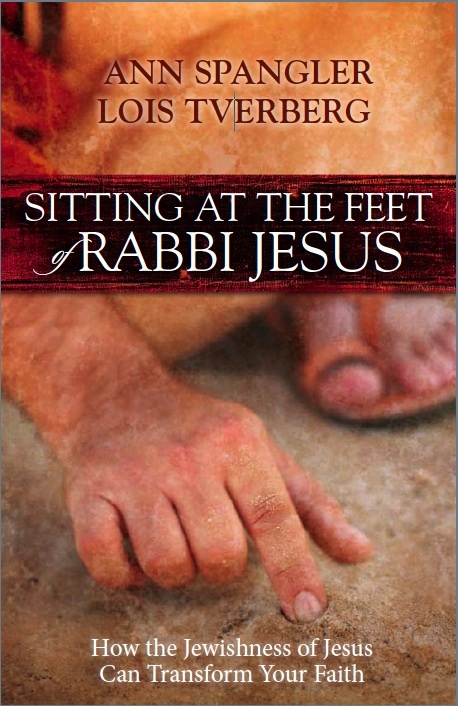 Several times in the Gospels, we find places where Jesus’ disciples address him with “Rabbi”. For instance, in Mark 9:5, Peter says, “Rabbi, it is good for us to be here; let us make three tabernacles, one for You, and one for Moses, and one for Elijah.” In the text, the word “rabbi” is actually spelled out in Greek letters. Many other places the Gospels quote the disciples as calling Jesus “didaskalos” (“teacher” in Greek) when they likely said “rabbi.” But in some places the word is literally “rabbi” even in the Greek. We considered this as we considered the title and wording of our book. We decided that “sage” might sound fine to scholars, but the book is for a lay audience. To them a “sage” sounds like a “guru” and is not a good communicator of Jesus as a Jewish teacher of his day. We carefully explain in footnotes and sidebars in the book how the term was used in Jesus’ time. Hi your book looks really interesting!! Just wondering, do you know of any resources for helping teach children some of the Jewish background to the Scriptures. We want to help children understand the depth of their Christian heritage beyond just Western Christianity & understand more of a Biblical worldview. Thanks for your blog – I’m enjoying reading the posts. I heard Ann being interviewed today on KTIS, a station I used to broadcast from sharing what God taught me to teach from my heart, as well as sharing my music from recordings. After I was unable to go back to work because of becoming disabled, hating havint to stay home, I felt God telling me to spend time with Him. When James 1 really spoke to my heart, i asked God to show me truth, and then He began to teach me through the Holy Spirit, and if a guy in a wheelchair can sit at the feet of Jesus, I did just that, spending some forty hours a week in the Word, and still find it my favorite thing to do, and has become my passion. Ann said she was not an expert and only a lay person, and I can identify with that – but she got some things that I don’t hear from a lot of preachers. I wonder if she came to the conclusiom, as did I, from the Bible, and reading books that God I feel has led me to, as well as talking to a lot of my pastor/teacher friends, and acquaintances – that, for one thing, God has two peoples. Starting out with Israel, bringing them into existance through intervening in the life of Abraham and Sarah, etc., but commissioning them to first get to know God themselves, and then to not hoard Him as their possession (In the O.T. the other nations saw the only God as Israel’s tribal God), but to tell Gentiles about Him. Jesus scolded them for not doing that (bearing any fruite, He called it), and said in Matthew that He was going to give that privilege to another “nation” (Peter tells us that this is the church), who would bear fruit. And now we have people sharing the Word of God back to them, probably not as much as we should. But I have come to understand that Israel is God’s earthly people, as they were Promised the Land and earthly things, IF they obeyed Him as a people and individually. And the church is God’s heavenly people, as His promises to us are heavenly in nature, again based on a condition, IF we do the will of God. Many call the Old Testament the Jewish Bible and the New Testament the Churches Bible. Well, what I have learned is that the Old Testament is the LAW, and the New Testament is GRACE oriented. Now, the way that makes sense to me is that when we are kids, we need to have “the Law” laid down for us, to teach us what is right and what is wrong. God started out with that for just that reason. Then, now that we Christians should be grown to a degree, with Grace and God the Holy Spirit, we should be able to have the freedom they didn’t have to go out and do the Will of God the Father. Now, since A.D. 70, what was applicable to the Jews up until then, has been set aside, as have they since God only seems to work with one of His two people at a time. So today, if a Jew is moved to be a follower of Jesus, he or she has to get saved the same way we do, which is the gospel of Grace (1 Cor 15:3 & 4). Back in Jesus day, the Jews had an entirely different gospel, and too many Gentiles get it confused and mix it with the gospel of grace. Theirs is shown in the gospels, and called THE GOSPEL of the Kingdom. And there are a lot of reasons for that, I have discovered. That never was meant for the Gentiles, and we never seen any Gentile who became a Christian in the Bible being told that was how they had to come, by repenting, and becoming baptized. We are told to believe on the Lord Jesus Christ, and that is how we are saved, because Israel always knew of God, and belonged to Him as a people. So those who strayed away, simply needed to come back. The Gentile has never been taught as the Jews were about Him, so we need to believe that there is a God, and that He is a rewarder of those who love Him. There are a lot of other differences, a lot of them Ann pointed out in the interview, between the two, but 1 Corinthians 10:11 links the Old Testament and the New. It goes back to the Exodus and tells us of the time when Israel came out of Egypt, and how everything that happened to them is an example to us of the church, Jew or Gentile in our day. A type (tupos in the Greek), or a foreshadow, a blueprint, a pattern – take your pick as to which helps you to understand. Then in the New Testament, much is explained by putting the two together, helping us understand the full picture of what God wanted us to know. The Passover was a picture of THE LAMB of God, Jesus, who would come and become our Passover, as the New Testament tells us, etc. I would love to compare notes with either or both of you authors, as I feel God has shown me so much that I do not hear Bible teachers expressing, that is right there in the Bible for even a non-Seminary graduate like me to understand. I have come to the point of not apologizing for that as I once did, since someone pointed out that all of the apostles were not graduates of any Bible SChool either – but learned as I did, at the feet of Jesus. He is so good!